Trump labels it protectionism. The UK calls it Brexit. Other countries talk about local economic and manufacturing support. But whatever you call it, how do we continue to source effectively when traditional procurement is being disrupted along with almost every other industry or profession? By grasping procurement’s burning platforms and taking them as opportunities, said Duncan Brock, CIPS Director, at this morning’s launch of the Smart Procurement World Gauteng Conference. Economic woes, political uncertainty and digital disruption might trouble your CEO, but it should delight the CPO. After all, procurement can perform best on a burning platform, says Guy Strafford, Chief Client Officer, Proxima Group. According to 1st Executive, the human element, rather than technology, is still the critical factor in the procurement process. The specialised procurement and supply chain consultancy argues that the human factor is increasingly overlooked in the procurement process, in favour of automation. 1st Executive has urged firms to review their existing e-systems, to ensure that they are maximising the potential of their suppliers’ specialist knowledge. The firm warns that, failing to do so, could mean that procurement misses out on opportunities to add value. Is your procurement division a purchasing or a procurement function? More importantly, into which category does your CEO and other key executives place your function? Shiraz Sarang, CPO at Nedbank discusses how procurement professionals can elevate the importance of the procurement function within an organisation, in this month’s SmartProcurement. Who’s willing to stand up and bear the flag of procurement pride and improve our image? Elaine Porteous wants reinforcements to help raise the function’s status up to where it belongs. Professor Marcus Ambe – professor of Supply Chain Management (and chairperson of the Supply Chain Management Research Group) in the department of Business Management at Unisa – posed critical questions, which set the scène for the roundtable discussion around the professionalisation of supply chain management. The discussion was held at Unisa on the 2nd of March 2017, and was organised by the Supply Chain Management Research Group in the College of Economics and Management Sciences (CEMS) at Unisa - in collaboration with the Chief Directorate Capacity Building, in the Office of the Accountant- General, National Treasury. What should CFOs expect from CPOs? The clue to the answer may appear to be contained in the job title. The narrow, traditional view of a chief procurement officer (CPO) is that they organise the buying of stuff – even if it is not stuff at all, but services – in a timely, efficient, and cost effective manner. The problem with this view is that it is wrong. At early stages of my career and even now I have tried to utilise every chance I get to interact with senior managers, learn from their experiences. And get hands-on support from them where possible and use them as my supply chain coach. No matter whether your supply chain career is at beginners level, a career change, executive, operational or senior management, you are the owner of your career’s future and ultimately responsible for its direction and success, says Chris Gardner of Gardner Rich LLC and ‘Pursuit of Happyness’ fame. Procurement job openings are on the rise and, as organisations squabble over the best talent, it is important to make sure you are doing the right things to attract the crowd you want! 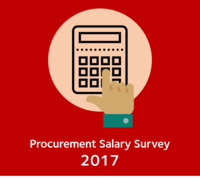 Recent studies revealed that the number of advertised procurement and supply chain roles increase by 22% each year, demonstrating a huge demand for talent in the industry. As more people consider making the move into a procurement role, it is important for organisations to find ways to attract the best possible employees. Adam Maidment, of procurement recruitment specialist Portfolio Procurement, offers six innovative methods to help you to attract, and then retain, the top talent out there. Universities need to do more to understand the changing business environment to produce graduates that will best serve in the supply chain industry. Many graduates are not making a valuable contribution to the industry because of a lack of proper practical integration by universities, said Prof. Johan Du Plessis, Managing Director of Logistics International and Adjunct Professor at the universities of Johannesburg and Unisa. South Africa will in October open its first stock exchange devoted to assisting small-business operators. The exchanges will be set up in Gauteng’s Johannesburg and Pretoria, focusing on residential townships and serving mostly black South Africans, reported iol Business News in September. Residents will be able to trade shares in local businesses, providing an alternative to the 129-year-old Johannesburg Stock Exchange. The “SMME share” exchanges will operate under less stringent listing rules and lower costs, under plans announced by Gauteng Premier David Makhura. The procurement function is at an inflection point. At many leading companies, the role of procurement has been transformed in profound ways that make the procurement organization a linchpin of enterprise strategy. Meanwhile, many procurement groups continue to struggle for influence – in large part because they remain trapped by paradigms that, while still prevalent, are decades out of date. To adapt to a future that is already upon us, the procurement function needs to reinvent itself, Jonathan Hughes, Strategic Sourcing & Supply Chain Management Practice Leader at Vantage Partners, tells SmartProcurement.